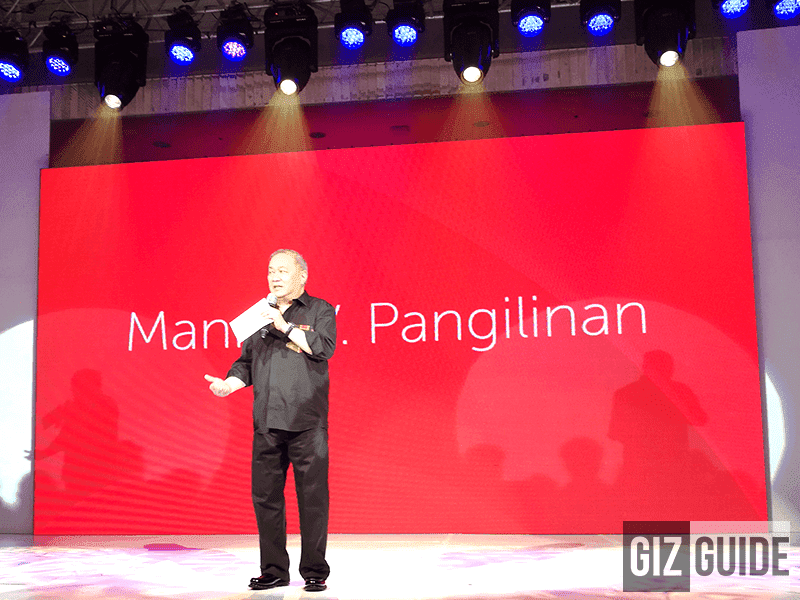 PLDT announces PHP 50 billion capex for network expansion and improvement next year! Home / news / pldt / services / PLDT announces PHP 50 billion capex for network expansion and improvement next year! PLDT Chairman, President and CEO Manuel V. Pangilinan announces PHP 50 billion capex next year to expand network and improve mobile and fixed-line services. Next year's capital spending by PLDT is up by nearly a third from 2017's PHP 38 billion. According to MVP, this budget allotted is to make sure that they will future-proof their networks. He also stated that the company is "trying to get ready in case it happens as as early as the first quarter," referring to the entry China Telecom, the third player chosen by the Chinese government to invest in the Philippines. MVP also mentioned that PLDT's capex (budget) for 2018 will be funded through the sale of assets. Well, the normal level of around P40-ish billion, the EBITDA (earnings before interest, taxes, depreciation and amortization) can handle that. The incremental capex of around P10 billion, we’ll fund through the sale of assets. We still have receivables from MPIC from the sale of Beacon, so we might sell some of that, he said. PLDT has PHP 15 billion remaining receivables parent Metro Pacific Investments Corp.
Over the last decade, PLDT has invested PHP 300 billion or nearly USD 6 billion for its fixed and wireless network infrastructure, That's around 150,000 kilometers of fiber optic cables. Last October, PLDT also mentioned said that they are invested PHP 7 billion for the Jupiter Trans-Pacific cable system built and operated by a consortium of global firms including Amazon and Facebook.